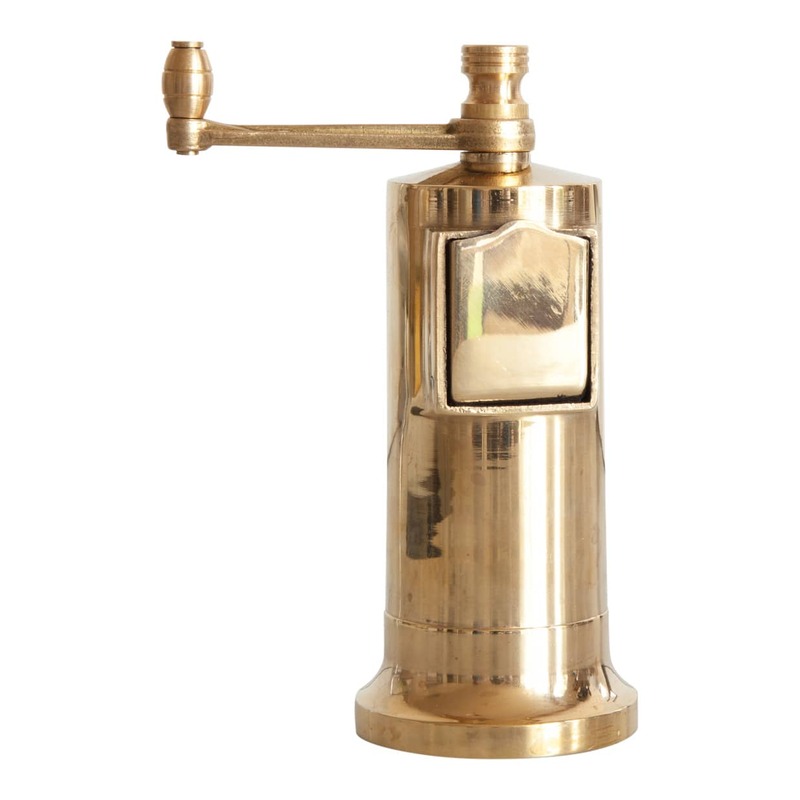 This handmade brass pepper mill has a fully adjustable steel grinding mechanism making it one of the sturdiest on the market. The mill can be adjusted from coarse to fine grinding. To refill you use the flap on the front making it really simple to use with no fiddly parts to drop or lose. This product was featured in Rue Magazine and The Times.